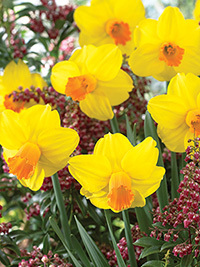 A new variety with a lemon-yellow perianth and a long flared cup that starts gold and turns orange. Mid season flowering, 40 cm tall. Click Add to view pricing and select the pack size required.